Convenient liquid releases humic acids and replaces messy barley bales. 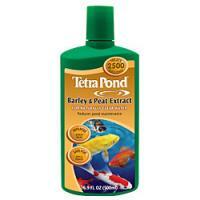 It maintains the natural beauty of ponds and waterfalls and reduces pond maintenance. 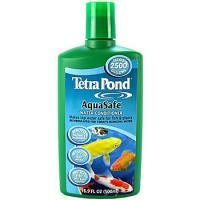 AquaSafe quickly eliminates chlorine, chloramines and neutralizes heavy metals. 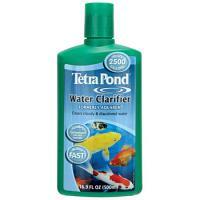 It also provides a protective colloid coating for fish. AquaRem Water Clarifier quickly clumps contaminants so they can be easily removed by filtration. Will not harm pond life or plants when used as directed.